With outbreaks confirmed in 23 countries and territories, the virus is spreading “explosively” across the Americas, says Margaret Chan, director general of the World Health Organisation. She is convening an emergency committee of experts—a move signalling a “public health emergency of international concern”, which it last declared over Ebola. Zika could infect 3m-4m people in the Americas in the span of a year, the WHO estimates. The virus is suspected of causing brain damage and other health problems in babies born to women infected during pregnancy. 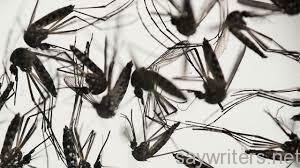 Researchers are also trying to confirm whether Zika causes neurological and immune-system problems in infected adults. Studies in Brazil and Colombia will provide answers later this year. For now, America, Canada, Australia and many European countries are advising pregnant women to avoid travelling to countries where Zika is circulating. Some airlines and cruise operators are already offering refunds. Worse lies ahead.